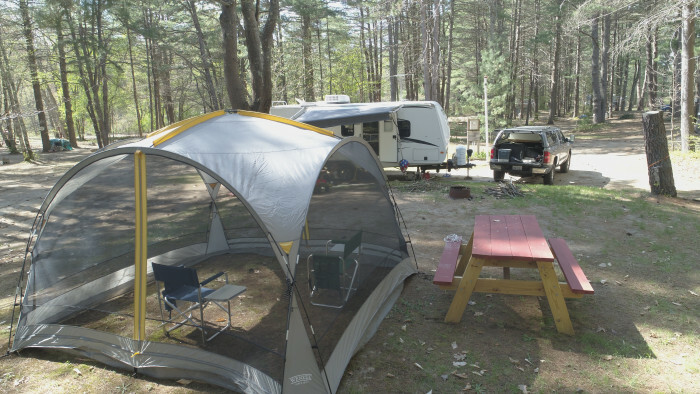 Ask fellow campers about "Epsom Valley Campground" and nearby attractions. Only stayed one night. Pulled in early evening and left mid-morning. CG was almost empty. Owners/operators were very nice. Have very enjoyable walk around park before we left. We camped at Epsom Valley Campground in a Motorhome. A nice lady took us to our campsite. It was OK. A lot of seasonal or permanent people there and the ones by us were very loud and up late outside. Never saw any staff except at the office. When it rained some of the park became a mud hole including our spot. No gravel. The picnic table was covered in bird poop. Sewer was very high and we had to put blocks under the trailer to drain. Good central location and very rustic. Woodsy. Just a site. A no frills campground. We camped at Epsom Valley Campground in a Travel Trailer. We used to live in the area but we moved to North Carolina. This is our go to place when we come back and visit family. The owner is the best. Epsom Valley Campground is our home away from home. Mostly seasonal sites with a few overnights. We always feel welcome here. 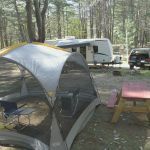 We camped at Epsom Valley Campground in a Travel Trailer. Arrived without a reservation on a Sunday afternoon and given choice of several sites; opting to take FHU alongside river. Campground is in trees - lots of pines and maples giving a very shady canopy above. The grounds and roads throughout are dirt and pine needle covered. A few TV air channels were picked up on antenna. Hookups on our site were a bit odd - sewer and electric were in one location while the water was 20-25 feet away. Electric service on our site was 30 amp. Water pressure was low so we filled our tanks and then used our pump. Voltage a bit low at 118. 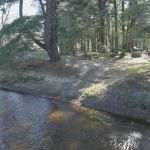 Campground is older and sites are varying is size and condition. Good number of long term/seasonals but place was quiet during the week. Staff and owners were fabulous; very personable and committed to making our stay enjoyable. During the first evening, we encountered a nuisance issue with a neighbor - nothing major but enough that we went to the office to advise owner. The owner promptly went and attended to the matter. 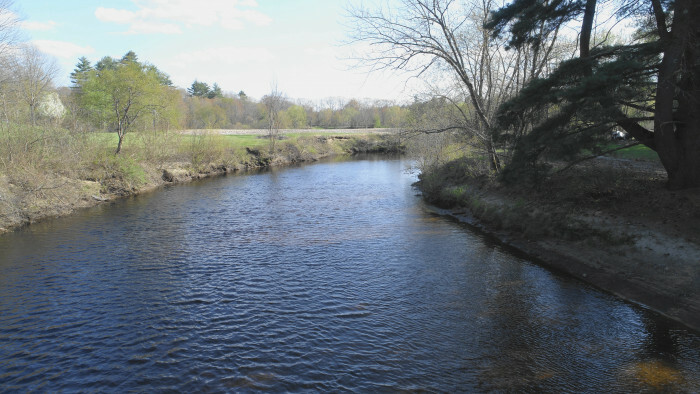 The campground is situated along the banks of the Suncook River, a generally lazy, gentle river. 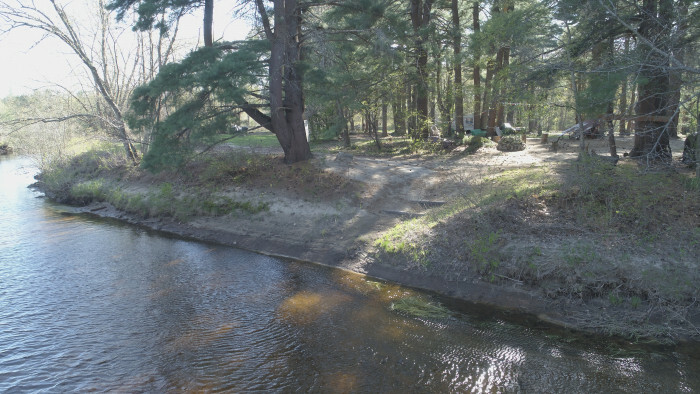 There is beach access to play in the water or launch a kayak or float tube (better yet, put in up the road a piece and then exit at the campground). 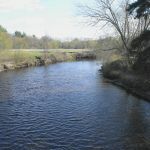 Fishing is also an option from the banks or in the river - bring your license. There's also a playground and a mini golf course for fun. The bathhouse is clean with pay showers (.25 for 5 minutes). Laundry has 2 new washers (1.50) and 2 dryers (1.00) and lots of paperback books to read or trade. There is a Safari area for groups and a Wilderness area for tents. A pavilion is used for weekend socials. We stayed on Passport. $21=½ price of FHU + $3 for electricity (no, not an a/c or heater charge, an electricity charge. Don't like their reasoning as I'm already paying extra for site vs w/e only price, and electricity is low voltage) Other than that, we like this place. Very quiet and relaxing for us. We camped at Epsom Valley Campground in a Truck Camper. Located close to city of Concord and about an hours drive to seacoast. Enjoy the quiet and relax while at Epsom Valley. This is an older campground in the woods. It worked well for our 27' travel trailer but could be problematic for larger rigs as the interior roads weave among the trees and shrubs. We had a full hookup site, but unlike modern campgrounds the utilities were spaced well apart, not that there is anything wrong, just not common. 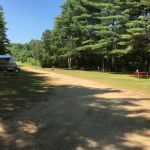 As with most campgrounds in this region, it is mostly seasonal campsites, many seem to be in use only on the weekend as the occupants were away midweek and was very quite. WiFi worked better than expected, but only a few OTA TV channels could be found, the trees eliminated satellite in most sites, but a few had an open view. A few sites near the front were suitable for larger Class-As. The grounds are mostly a mix of sand and pine needles. Expect some pine sap from the trees and tracked in sand. There was a playground suitable for smaller children. We would return here if in the area again. We camped at Epsom Valley Campground in a Travel Trailer. I want to update the older comments by saying the power was a steady 118v, water pressure 50lbs, bathrooms clean and orderly. The park is an older park but roads and sites were o.k. for my 39' Montana. This is owner managed and it shows. Staff more than helpful. Great place for kids, right next to the river. We camped at Epsom Valley Campground in a Fifth Wheel. Go see Concord and the capital building. Camping World just down the street and Walmart, Target & Home Depot 15/20 minutes. Everyone we met here was very friendly and helpful. The campground is older with shady sites. Many seasonals. The hookups are not in normal locations. I didn't use the water so I can't comment on the lack of pressure. The electrical issues mentioned in another review must've been taken care of because the voltage was the highest I have ever seen. Not sure about the amperage as I have no way to measure it. Leaving was a challenge with a 38 ft motorhome. I wasn't sure if I was going to get around the loop at the end or have to back up and find a different exit. After a couple of tries I did get out OK. Convenient to Camping World, Sam's Club, Super Walmart and Concord. Many antique shops heading east on 202. We camped at Epsom Valley Campground in a Motorhome. This is just a so-so campground. We stayed here for two months for medical reasons (doctors, surgery, etc. ), and felt lucky to get a spot here on short notice. The owners and staff are friendly and accommodating. Most of the sites are taken by seasonal customers. They have some activities. The location is good for race fans going to NH International Speedway in Loudon. Camping World is nearby. The electrical voltage and water pressure are both atrocious! Had to use the water tank and pump just to get enough flow for bathing and dish washing. We had a digital voltmeter plugged in, and on hot weekends during peak A/C loads, the voltage dipped down to 95, and we had to switch the fridge to propane just to keep the A/C running. Had to do much juggling to run things like the toaster and microwave. Would probably look elsewhere if we visit New Hampshire again. We camped at Epsom Valley Campground in a Motorhome. Go see Concord and the capital building. Camping World just down the street and Walmart, Target & Home Depot 15/20 minutes. Are you affiliated with Epsom Valley Campground ?